payroll clerk I am responsible for accurately issuing pay to employees by calculating earnings and deductions in accordance with established practices and guidelines. I also calculate and prepare all commissions being paid out to sales people, service, and maintenance technicians. As the HR point of contact I am responsible for employee recruitment, training and development, the provision of compensation and benefits, the enforcement of disciplinary procedures and conflict resolution, while ensuring that the company continues to meet its business and organizational objectives. 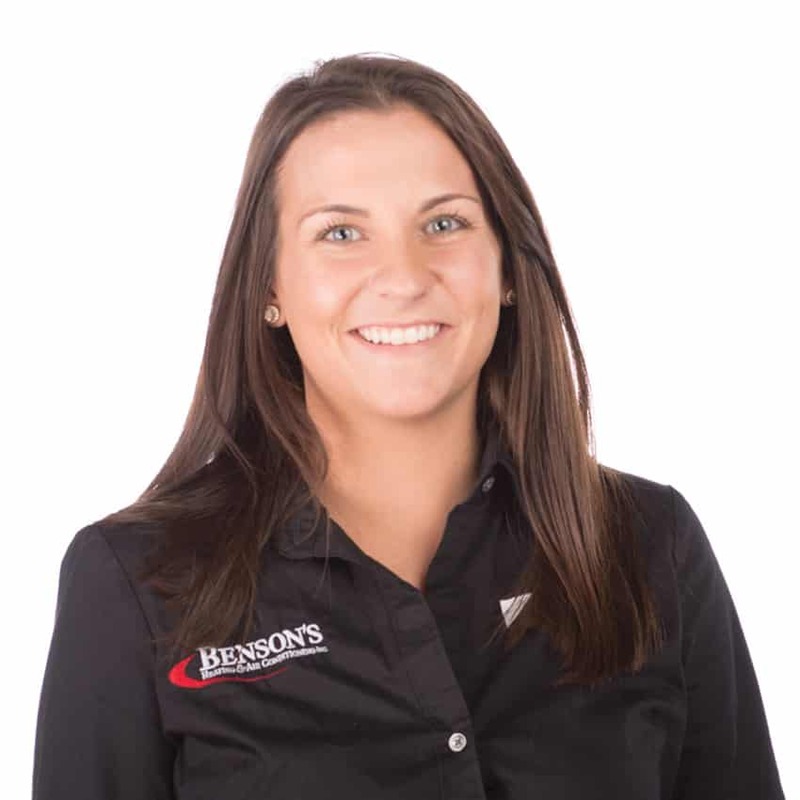 INDUSTRY EXPERIENCE: I began working at Benson’s when I was 18 as the front desk clerk. After spending a year at the front desk I was moved into the dispatch office as a customer service representative. I answered incoming phone calls, scheduled maintenance and service calls. While in the dispatch office I was given the job responsibility of accounts receivables. In 2012, I was given the opportunity to start working with CFO and the accountant to further my knowledge of the accounting side of the business.